Imagine you're planning a Saturday lunch out with two good friends, and each of them weighs in on what they'd like to have: one pal is crazy for Italian; the other, Thai food. And no matter where they eat, they both want to stop by the local panaderia afterward for fresh-baked Mexican pastries. If you have celiac disease, or you're allergic to seafood or peanuts, you're out of luck. In this situation, some people might make up an excuse not to eat out, rather than explain their food limitations. But you don't have to brown bag it while your friends, family and co-workers get to sample our city's unmatched variety of dining options. Even if you have celiac disease or food allergies, you can get a great meal in Chicago — you just need to know the right questions to ask. Celiac disease (CD) is an autoimmune intestinal disorder, one that lasts a lifetime; according to the Celiac Disease Foundation (CDF), one in 133 people in the U.S. are affected. People with CD have toxic reactions to gluten proteins found in wheat (in its many forms), rye, barley and triticale, which can result in symptoms as far-ranging as cramping, bloating, anemia, extreme weight loss or gain, bone and joint pain, fatigue, infertility and depression. People living with the disorder have a difficult time absorbing key nutrients, and when left untreated, CD can also lead to severe long-term effects like osteoporosis, neurological defects and gastrointestinal cancers. Not very appetizing, right? For people with CD, the only treatment is to follow a strictly gluten-free diet, which, while challenging, is far from impossible. There are numerous resources online that sell gluten-free foods, and many organizations like CDF not only offer resources for healthy living, but also challenge the idea that people with CD have to be limited. Is It Really Safe to Eat Out with CD? "I don't want to say that it's easy, but I think people make themselves more isolated," says Elaine Monarch, founder and executive director of CDF (and a global traveler who lives with CD). Particularly right after diagnosis, some people with CD are intimidated by the prospect of eating out, or don't want to explain their situation to fellow diners. But Monarch says that with a little preparation and patience, it's possible to dine out safely. Customers have the right to ask for food modifications, the same way someone on a diet would, says Monarch. "When we eat out, we're at risk — we entrust the restaurant to follow our requests," she explains. "Make it clear to your server that it's a food allergy, and you need their help so your meal is safe. Be pleasant and informative; don't be demanding." She suggests choosing restaurants that will happily cook to your specifications (versus take-out joints and chains) and keeping it simple. "The better the restaurant is, the easier it is to eat. Restaurants are in customer service — they want to please you, they don't want to poison you." There are some simple steps you can take to find restaurants that meet your needs. Check out local resources like Celiac Sisters, written by two sisters with CD and chock full of restaurant and shopping recommendations. 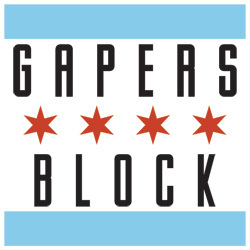 Or browse restaurant reviews by the Celiac Sprue Association of Greater Chicago, which encompass almost 60 eateries throughout Chicagoland (and include something for almost any taste). And if that isn't enough, Celiac.com just published the second edition of The Essential Gluten-Free Restaurant Guide, which includes 209 restaurant listings in Illinois alone. That homework should be enough to keep you busy for a while (and result in lots of healthy options). But we've done a little digging for you already, and picked some of the most interesting — and renowned — gluten-free restaurants. We even brought in an "expert" taste-tester, Shannon Mueller, a Chicago public school teacher who was diagnosed with CD in October 2006. 1. Always call ahead to see if the restaurant is able and willing to accommodate you. 2. Carry a dining card, in a variety of languages if appropriate. 3. Ask if salad dressings are homemade or from a bottle. 5. Ask if your meat has been pre-marinated (and if it has, order something else). 6. When eating Asian food, ask if there is soy sauce in the dish. 7. Bring along your own bottle of gluten-free soy sauce (La Choy or San-J Wheat Free Tamari are two options). 8. Remind the server not to put croutons or blue cheese on your salad. 9. Be flexible. The restaurant may have never encountered someone on a gluten-free diet before. 10. Be prepared: bring a gluten-free energy bar along just in case you can only eat a salad. Most people think you can't eat Italian and stay gluten-free. After all, what's an Italian meal without a big bowl of pasta? Da Luciano (708-453-1000) in River Grove has the answer, offering a full gluten-free menu. A family-owned restaurant, it's a mecca of sorts for people with CD. "We get people from all over the U.S., many who come from out of state just to eat here," says Ignazio Libreri, who co-owns the restaurant with his father, Luciano. (Monarch gives the restaurant high marks.) Four of Libreri's siblings have the disease, so he says making the restaurant CD-friendly was a no-brainer. He encourages customers to browse the menu online and call ahead to make a reservation and place their order, to give the kitchen extra preparation time and ensure that customers don't have to wait too long. The restaurant is a favorite of Mueller's. "The Da Luciano gluten-free menu is now so extensive it contains more items than the full menu at some other restaurants. For gluten-free individuals who mourned the loss of pizza in their diet, weep no more. It must be said that the pizza is a bit small for the price, but alternative flours do not come cheap. At Da Luciano you can dine on classic Italian fare — pizza, pasta, fried calamari, eggplant parmigiana, homemade cannoli, even tiramisu — with no worries." 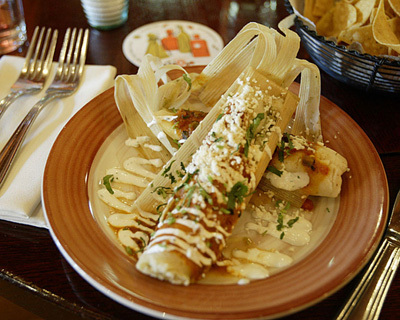 Tamales de Barbacoa is just one of many dishes on Adobo Grill's gluten-free menu. If you're craving Mexican chow, Adobo Grill has locations at 1610 N. Wells St. (312-266-7999) and 2005 W. Division St. (773-252-9990), each offering full gluten-free menus. Selections include barbecue-style chicken tamales, grilled chicken in a tamarind-chipotle glaze, and both modern (chocolate tamal with vanilla flan ice cream) and traditional (vanilla flan with caramel sauce) desserts. Mueller says the restaurant has become a regular spot for her. "These are natural gluten-free dishes, not a watered down, modified version. A fantastic starter is the guacamole (made tableside) with jicama chips. For an entree try the 'enchiladas en verde mole,' enchiladas filled with butternut squash and mushrooms. Dessert lovers should order 'mango en mango' — frozen mango mousse with mango slices topped with mango sauce and raspberry puree, a mango lover's dream! The waitstaff were perfectly attentive and helpful — any diners with dietary needs (gluten-free, vegetarian, food allergies) will have a wonderful experience at Adobo Grill." And from the same people who created Adobo Grill, Vinci at 1732 N. Halsted St. (312-266-1199) offers another take on gluten-free Italian dining, with a focus on rice ziti pasta in a variety of preparations, as well as veal, duck, hen and steak entrees. Mueller also recommends trying Asian restaurants, particularly Japanese, which offer many dishes that are naturally gluten-free. "But always ask about wheat content in miso soup and miso paste, and stay away from crab sticks, tempura or unagi sauce; in fact, you should probably bring your own soy sauce to be safe." She likes Zen Noodle at 1852 W. North Ave. (773-276-8300) and Hachi's Kitchen at 2521 N. California Ave. (773-276-8080). Mueller carries a dining card that explains her dietary requirements to the waitstaff and chef; dining cards are available from Celiac Travel in 38 different languages, which she says can open the doors to many more restaurants where language barriers would otherwise make safe dining impossible. Swirlz Cupcakes at 705 W. Belden (773-404-2253) wins hands-down. Or, hands-up, as owner Margot Chapman describes: her bakery had been open for about a week when she arrived one day to see a customer exiting, holding a gluten-free cupcake high in each hand in a joyous victory sign. A long-time Chicago foodie (in the 1980s, she ran Chapman Sisters Calorie Counter on Michigan Avenue and in Woodfield Mall, feeding "a million people over 10 years"), Chapman learned five years ago that she has CD, and became "emotionally attached to the idea of a gluten-free cupcake," she says. "People come in who are just so excited. They don't get to go to a normal bakery." She opened the original Swirlz, and plans to start franchising the business this year. Jeremy Sher, pastry chef for Swirlz, says creating gluten-free pastries isn't easy, but it's worth the extra effort. "A lot of people assume a gluten-free cupcake is dry and tastes weird, but we take extra care with ours. We want to make it as delicious as any of our other cupcakes," says Sher. Case in point: to make the shop's lemon cupcake, available on Wednesdays and Thursdays, Sher squeezes a from-scratch lemon curd into the center of a yellow cake, then frosts it with lemon butter cream for a blend of lemon flavors that are legendary among customers. Other flavors include grasshopper mint and chocolate turtle, and the bakery rotates flavors seasonally. 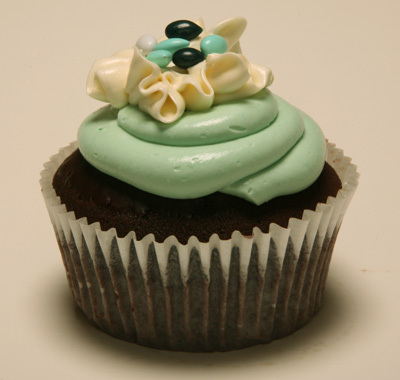 The grasshopper mint cupcake is one of a variety of gluten-free flavors served up by Swirlz Cupcakes in Lincoln Park. When bakery owner Margot Chapman was diagnosed with celiac disease five years ago, she became "emotionally attached to the idea of a gluten-free cupcake." The store has become so popular it will start franchising this year. Mueller says Swirlz is a real treat. "Have a sweet tooth, but think you can't eat pastries without a major in-home baking event using ingredients like tapioca flour and xantham gum?" she jokes. "Then you must visit Swirlz. Every day this little gem offers both gluten- and sugar-free cupcake options, housed in a separate section of the pastry case so you won't have gluten-filled crumbs dusting your cupcake and making you sick. The cake is moist and spongy (none of that weird, grainy texture so many gluten-free baked goods have) and the frosting is creamy and lightly sweet. When it's available, make sure to try the vanilla pomegranate cupcake." While Monarch says she has some reservations about eating at chain restaurants — much of the food is prepped way in advance, so staff may not know exactly what's in (or on) it — there are some chains that are working hard to offer gluten-free options. Lettuce Entertain You restaurants Wildfire at 159 W. Erie (312-787-9000), Ben Pao at 52 W. Illinois St. (312-222-1888) and Big Bowl (locations at 6 E. Cedar, 312-640-8888; 60 E. Ohio, 312-951-1888; and in Lincolnshire, 847.808.8880; and Schaumburg, 847-517-8881) each offer gluten-free menus. Ben Pao is particularly revered by people living with CD, boasting a wide variety of noodle and rice dishes, sesame shrimp, moo goo gai pan and more. Wildfire's gluten-free menu is full of steak, seafood and chicken options and a wide variety of salads. Wildfire is just one of the dozens of Lettuce Entertain You restaurants that offer gluten-free meals. 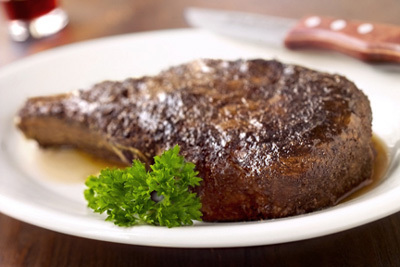 At Wildfire, steaks are on the special all-gluten-free menu; Big Bowl and Ben Pao also offer separate gluten-free menus for diners with celiac disease. Lettuce Entertain You's Jennifer Bell explains that each of the company's dozens of restaurants offers gluten-free meals; she recommends that customers call in advance and speak to a manager or chef about food selections. "Every manager is educated and taught to be sensitive to allergens, including gluten, peanut and garlic. A simple phone call before you get there can alleviate any stress." When diners arrive, they should tell their server about their allergy; that triggers an "allergy report" that's delivered to the chef, who will ensure the food is made correctly and that there is no cross-contamination via utensils. Carrabba's Italian Grill, with locations in Naperville (630-355-3234) and Woodridge (630-427-0900); the restaurants offer a gluten-free menu [PDF]developed in cooperation with the Gluten Intolerance Group (GIG). Mitchell's Fish Market in Glenview (847-729-3663) also boasts a GIG-approved gluten-free menu [PDF], featuring fresh seafood with a wide array of preparation options. If you're in the mood for Chinese, P.F.Chang's China Bistro offers gluten-free options including noodles, seafood, salads and a "flourless chocolate dome" dessert with fresh berries and raspberry sauce. The restaurant has locations at 530 N. Wabash Avenue (312-828-9977) and in Lombard (630-652-9977), Northbrook (847-509-8844), Orland Park (708-675-3970) and Schaumburg (847-610-8000). And if you're craving the ultimate in chain dining, check out Outback Steakhouse's gluten-free menu [PDF] (also endorsed by GIG), loaded with cheese fries, coconut shrimp, and tons of stuff on The Barbie. You can get your Aussie on in Chicago at 8101 W. Higgins Rd. (773-380-0818), or in Buffalo Grove (847-541-4329), Wheaton (630-462-8850), Naperville (630-778-6290), Schaumburg (847-843-8884), Skokie (847-674-7411), Villa Park (630-530-0005) and South Elgin (847-717-0100). Or maybe Chili's is your thing; they can be everybody's thing now, offering special menus [PDF] for diners with almost every allergy, including a gluten-free selection. 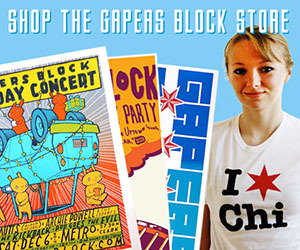 There are locations at 2 E. Ontario St. (312-943-1510), in Evanston (847-328-9068) and Skokie (847-679-1425), and scattered throughout O'Hare Airport. So, What if I Have Other Food Allergies? Twelve million people in the U.S. have food allergies, according to the Food Allergy & Anaphylaxis Network (FAAN). Ninety percent of food allergens are contained within these groups: milk, eggs, peanuts, tree nuts, fish, shellfish, soy and wheat. For people living with food allergies other than celiac disease, the dangers of dining out can be even more serious, the greatest being anaphylaxis: a sudden systemic allergic reaction that can be fatal. Fried foods are also a no-no, because deep fryers create an easy opportunity to cross-contaminate food. At Italian restaurants, plain pasta cooked in the same water as cheese ravioli could cause a reaction in someone with a milk allergy. Pesto sauce could be made with walnuts instead of pine nuts; desserts could have hidden tree nuts, or peanuts used in pie crusts. It is, but with a little advance planning, it is possible to eat out safely. Preparation for dining out "begins before you leave your home," says Anne Muñoz-Furlong, FAAN's founder and CEO. "Do your own homework and establish a relationship with individual restaurants," she says. Bring medication with you in case of an allergen exposure. Once you've arrived at a researched restaurant, identify yourself to the waitstaff and manager, explaining which hidden ingredients pose a threat. If you can, Muñoz-Furlong says, "speak to a manager, rather than harried waitstaff. They understand liability and possible bad press." And they are more likely to know every ingredient. "If you don't think they believe you, or if they don't take you seriously, better to leave than call an ambulance." Muñoz-Furlong also recommends carrying a chef card [PDF] similar to the one Mueller uses, which can be customized to identify your allergies. When it comes to dining at the big chains, she says, "I believe guests should not assume that all chain restaurants are the same — some may more closely follow corporate policies than others" when it comes to preparing food without allergens. Any research you can do in advance, like gathering reviews from online forums or calling to speak with a manager or chef, will increase the likelihood that your needs will be met. In fact, she says, many places are more than willing to do the work to win customers with allergies. "When you dine with someone who is allergic to fish, no one at the table will eat fish," she explains, for health reasons and out of respect for their allergic fellow diner. A restaurant who thinks they can ignore potential customers with food allergies (or worse, put them in danger) will not only lose them as customers, but also the other people they typically dine with. "The impact to a restaurant is three to four times the size of the allergic population, so making a decision to honor [those customers] is a solid business decision," she says. "When you find a restaurant that gets it, you'll go there all the time, which builds brand loyalty and results in good P.R." The bottom line: "Food allergies shouldn't stop you from doing anything you want, including dining away from home" says Muñoz-Furlong. "You just need to think before you go." • Living Without magazine (for sale at local Whole Foods stores) includes great tips on dining out at home or while traveling (including restaurant reviews). • The Illinois Food Allergy Education Association organizes support groups and keeps track of legislative and local government issues impacting people with food allergies. • Let's Eat Out! : Your Passport to Living Gluten And Allergy Free by Kim Koeller and Robert La France looks at a wide variety of cuisines and offers common preparation and ingredient information as well as suggestions for dining out. Please note: Even with lots of research, we can't guarantee that every restaurant listed here will meet your needs. So take these resources, do your own homework, and you'll stand your best chance of having a fun, delicious and safe dining experience. Jenni Prokopy is a health writer and founder of Chronic Babe, a web site for young women with chronic illness who want to live their best, every day.